DJ software djay Pro for Windows 10 is now available for download. 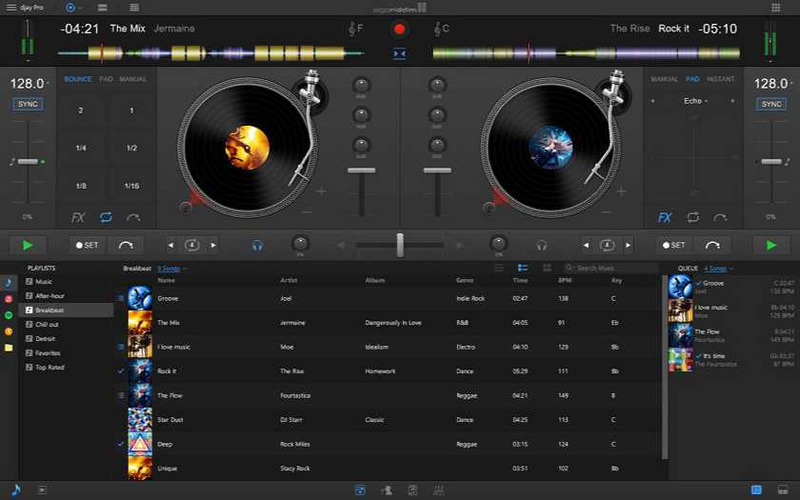 The djay Pro app provides a complete toolkit for DJs of all skill levels. Built specifically for Windows 10, djay Pro seamlessly integrates with your iTunes library and Spotify, giving you instant access to millions of tracks. Spotify integration provides curated playlists based on mood, genre, and popularity. By using Match artists can pair songs based on what is currently playing. Also, each djay Pro app gets a free 30-day trial of Spotify Premium, or users can just log in with their existing Spotify account. The app will cost you $49.95 from the Windows Store (link below).